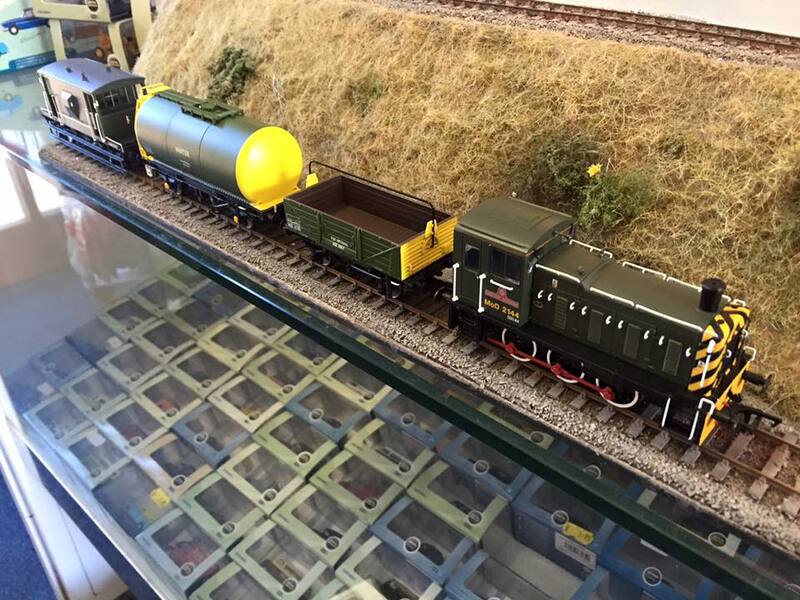 We've a bit quiet of late but we're back with a crop of Bachmann re-issues to bring you news about! 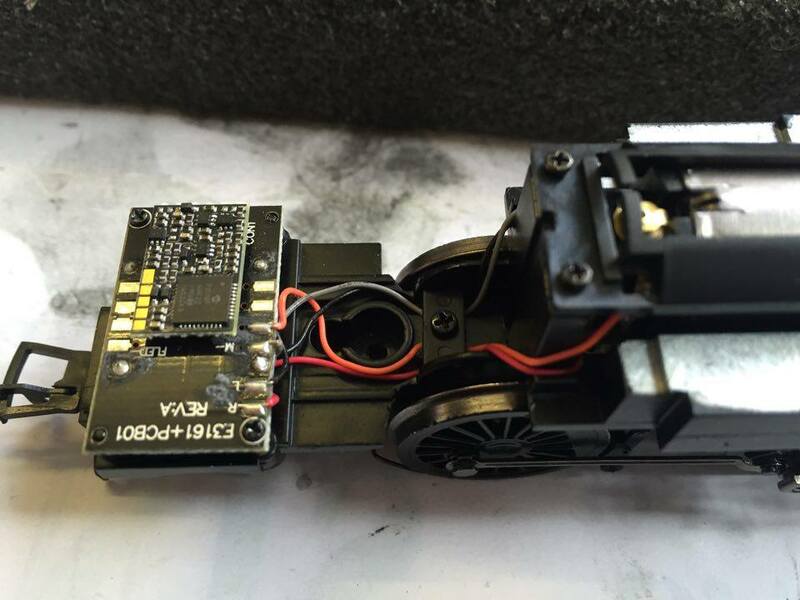 However, like the V3 released before it (see our Chips Article for info), the body hasn't received any attention. It has to be said that for it's time it was a brilliant body and can still stand up against the majority of models on the market, but a few minor upgrades would have just set the model off a treat. I've saved what I consider to be the best 'til last. Bachmann's latest set 'Military Manoeuvres' is an absolute cracker. RRP £169.95 our price £145. 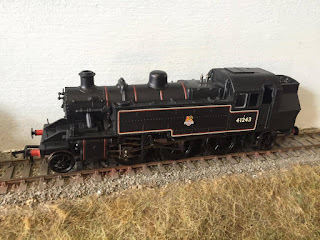 For your money you get a 03 shunter in MoD livery (MoD 2144 Western Waggoner) 2 wagons in MoD livery and a BR standard brake van in MoD livery (not a pillbox as the box states) as well as this you get a circle of track with a siding. 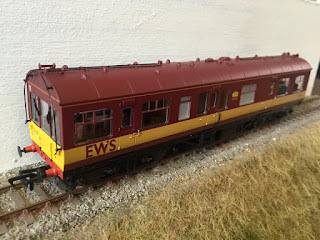 Not only does this combination offer a lot of 'play value' to the first set buyer, I believe freight sets are good for this rather than just a passenger train set, plus the siding allows a wagon to be shunted out or in to the formation too. It also is something really different to the standard fare and at the present time is a rare opportunity for the military modeller to acquire stock in ready to go condition. 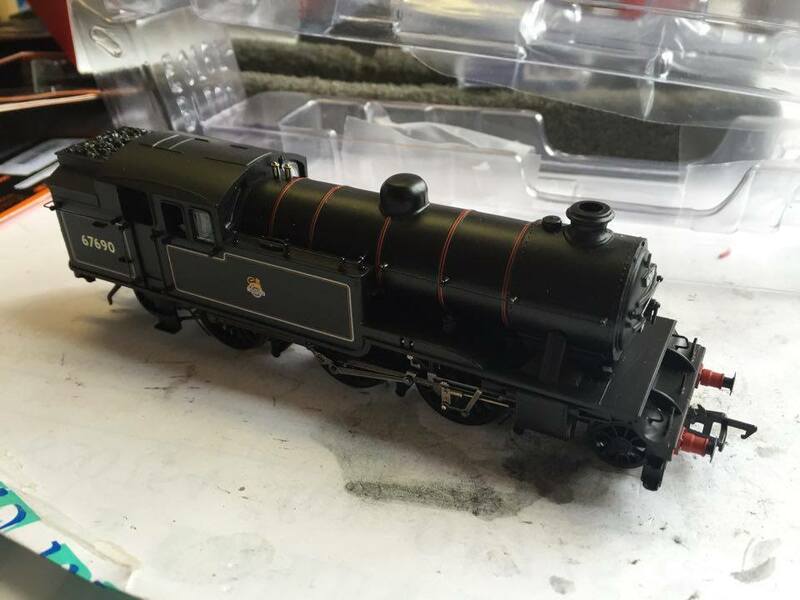 While we have our reservations about the Ivatt 2, we whole hearted applaud this offering. We will be taking a more in depth look at train sets closer to Christmas. That's all for this one guys. 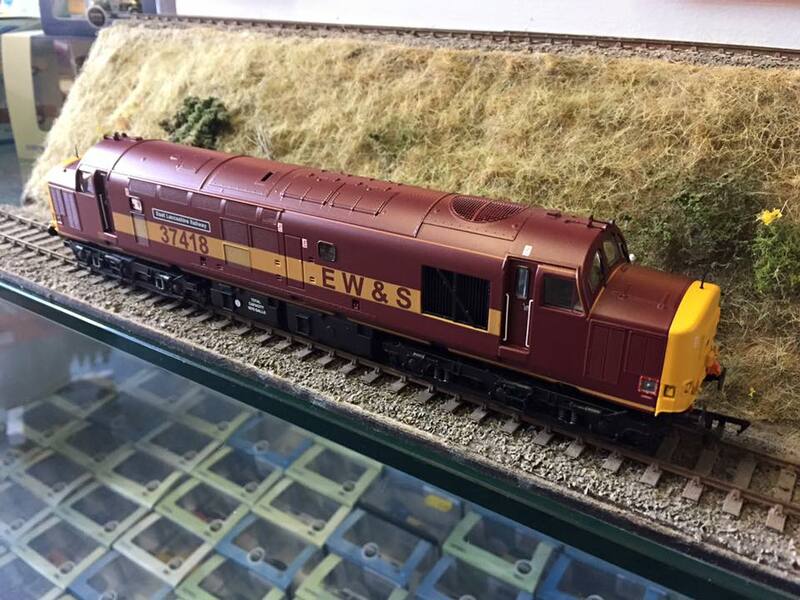 At the time of writing all items are in stock in the shop (and still in stock at Bachmann so more can be ordered). 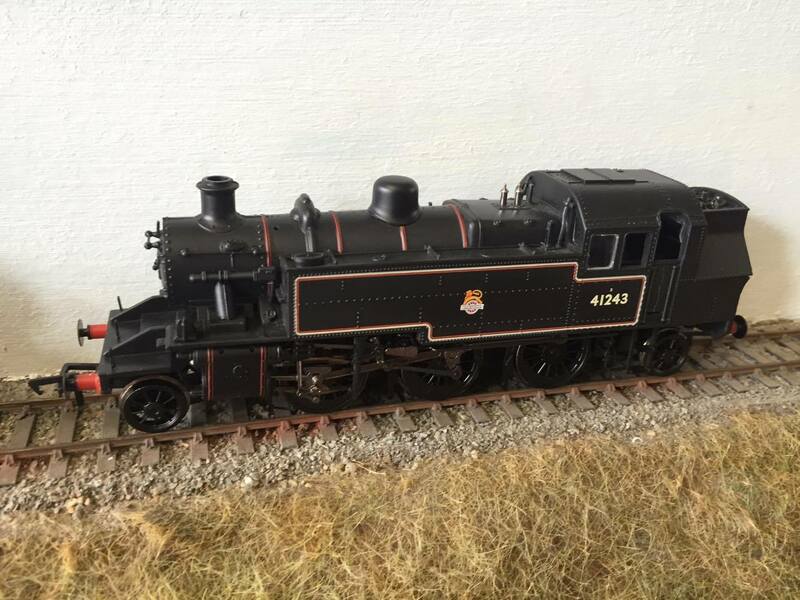 For those of you who are wondering about the progress of the project layout we will be returning to that soon and also be visiting Woody Bay for a charter with the replica Manning Wardle 2-6-2T Lyd and L&B coaches. Organised by the excellent 30742 charters (some places still available I believe) This event coincides with the railways steam gala. Chips With Everything! The new 'Next 18' chip and others we like! 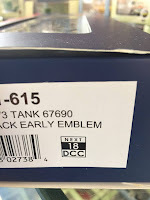 You might have noticed on the end of Bachmann's latest release the 'Next 18 DCC' symbol for DCC fitting advice, a new name and number of the DCC fitting system in the UK. Well here it is, retailing at £21.95 it is certainly not cheap as chips (groan!) but it is very small and comes well packaged. This chip is ideal for fitting into those small spaces where other chips cannot go. 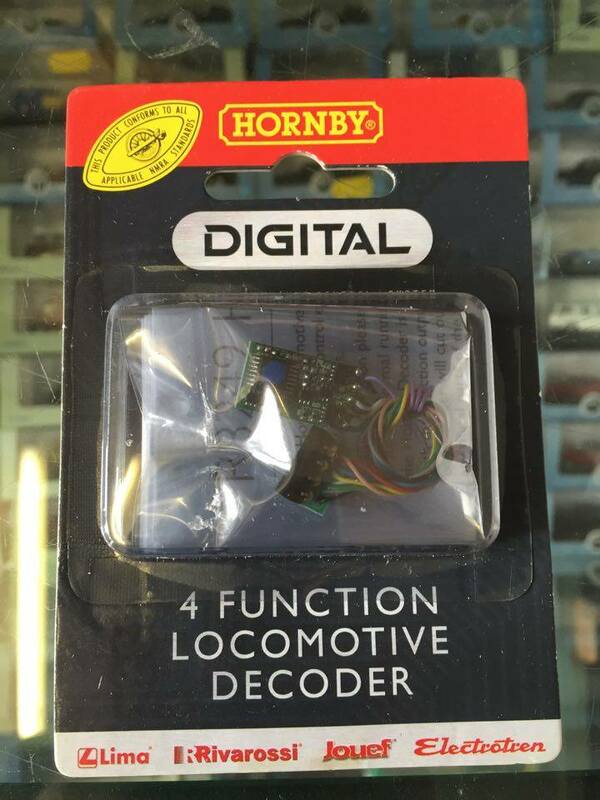 It's a shame this technology was not available for the likes of the Adams Radial (either Hornby or Oxford) or Hornby's new class 71! There it is in place, barely sitting proud of the fitting point at all. 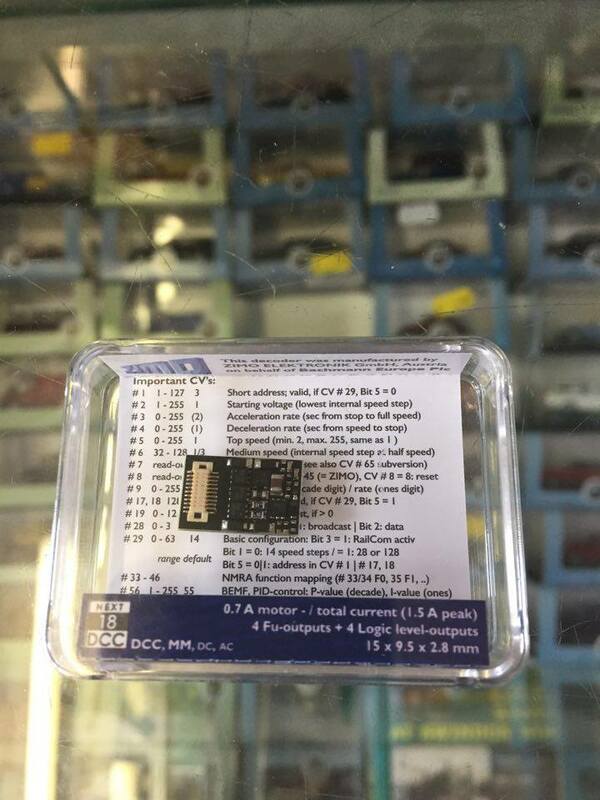 Whilst not a major issue in our test project (the Bachmann V1/V3, we'll have a look at that in a minute) it can easily be seen how little height is needed to fit one of these chips. Fitting was very easy and the chip found it's place with a confident click. 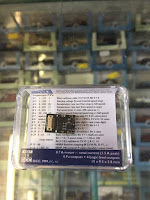 Initial tests found the chip very responsive and smooth straight from the word go, although a comprehensive list of CVs is provided for those who enjoy 'playing' with them. Body back on and a quick number change the job was complete in approximately 5 minutes. Right back to the chips, starting with some we like! 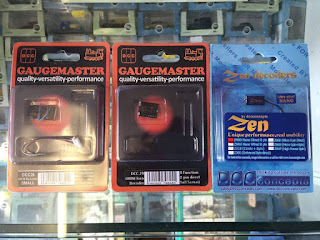 On the left we have the Gaugemaster DCC26 (8 pin) which is an excellent budget chip retailing at just £14.95 it's one of the cheaper chips on the market and is easy to install with the chip not taking up to much room. 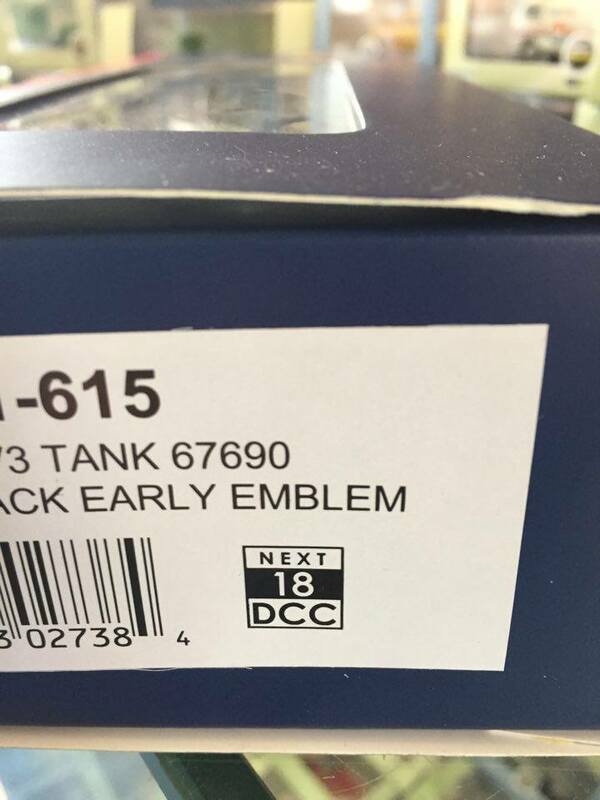 Next up we have another Gaugemaster chip the DCC28 which is a direct plug in of the more conventional 8 pin design. which makes life very easy as it plugs straight in rather than having to find away of hiding wires. One problem is it sits rather high in comparison to other chips. Which is where the chip on the right comes in the DCC Concepts Zen Nano 8 pin direct plug in (with stay alive, if you can find room for it) is an excellent small chip that will fit into most locos including the troublesome Adams Radials! 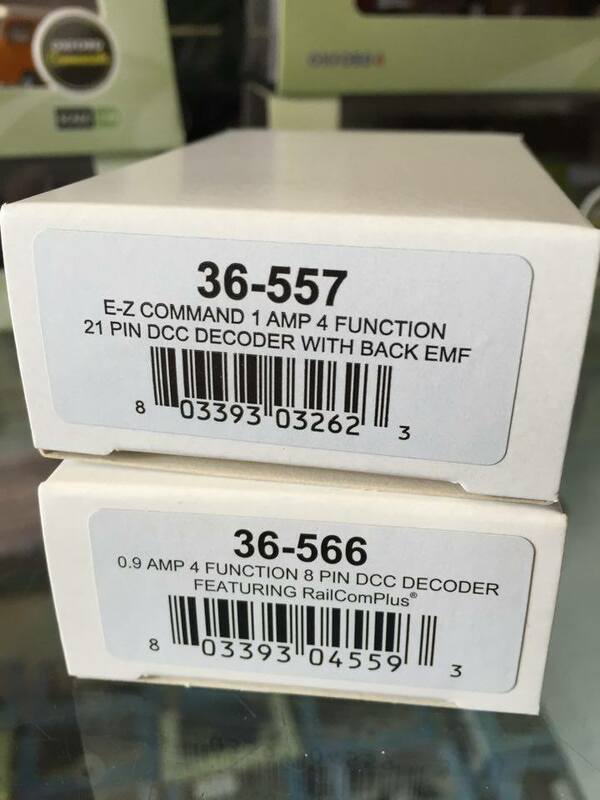 The two direct plug in chips we have found to provide excellent performance straight from the off. 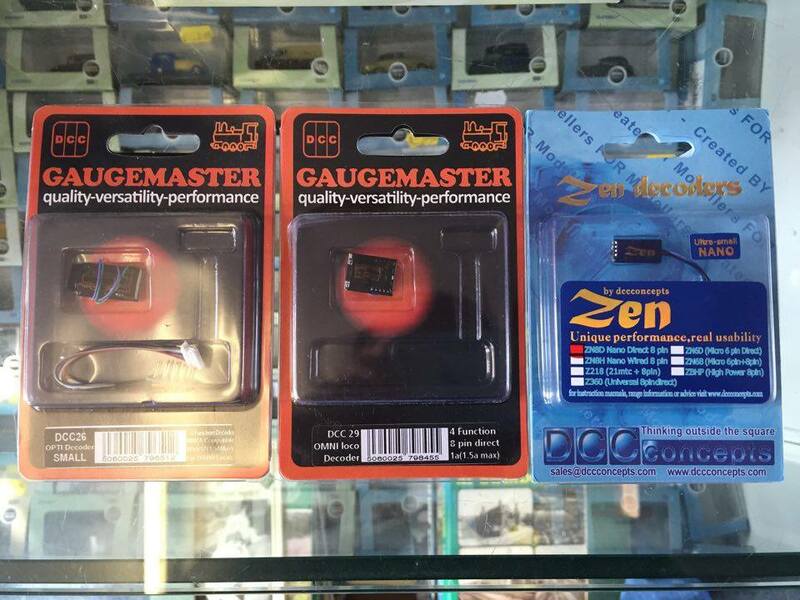 Another favourite of ours is the Bachmann range of chips. They come in 6, 8 and 21 pin varieties (as well as the new 'next 18') and provide very reliable and smooth performance straight from the off every time. While we use a variety of 8 pin chips we very rarely move away from Bachmann for 6 or 21 pin chips. 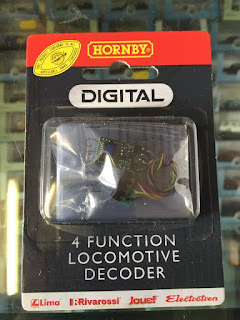 One we are not so keen on however is the Hornby chip. While they seem to work well with their own systems and reasonably well with any other system. They are notoriously limited in their capabilities and as my DCC expert tells me they are very hard (if not impossible) to reprogram. I hope this look at some of the chips currently available on the market, especially the new 'next 18' and it's provided some kind of insight into what's available. I'm sure many of you already have your own personal favourites. We have a couple of small events to tell you about in August. 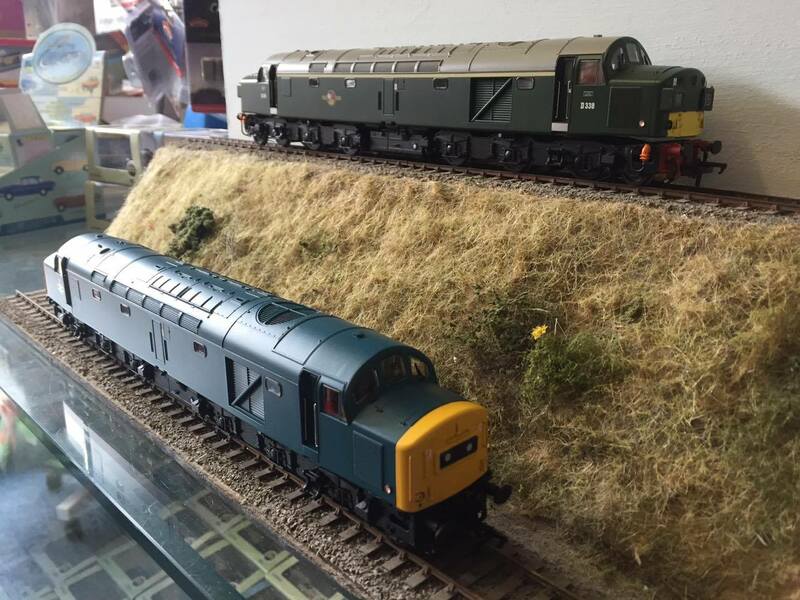 Silver Fox DCC Model Railway Club Exhibition, Saturday 13th August 10:00-16:00. Oakgrove School, Brickhill Street, Milton Keynes, MK10 9JQ. Adults: £5.00, Children £3.50. Bridgnorth Toy & Train Fair (Tony Oakes Fairs), Monday 29th August 10:30-15:00. Bridgnorth Leisure Centre, High Town, Bridgnorth, WV16 4ER. Admission: £2.00 (all ages). One of the few toyfairs we still attend, a very enjoyable atmosphere and what better place to spend a Bank Holiday than Bridgnorth, with it's steam railway, cliff railway and beautiful town. Well worth a visit. It would also be a perfect partner for the new EWS saloon! Still some of these in stock.